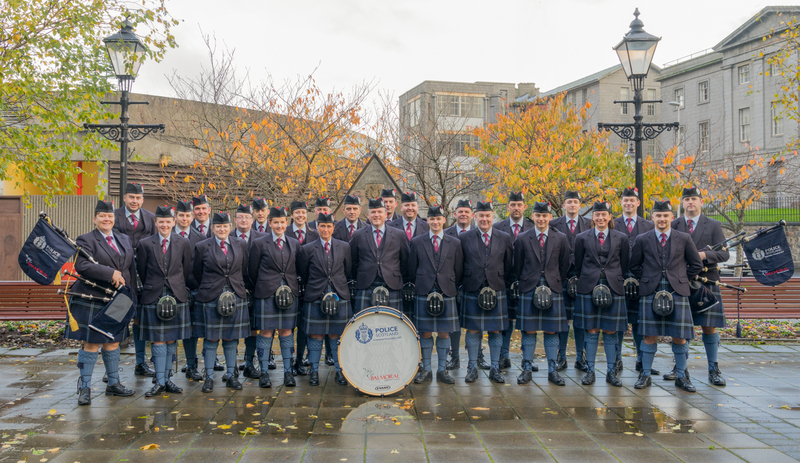 Despite the rather cold, wet and windy weather conditions, Grampian Police Scotland Pipe Band performed a lead role in the Aberdeen City Council Remembrance Day Parade. The ceremony was held on Sunday 12th November at the City War Memorial, Schoolhill. 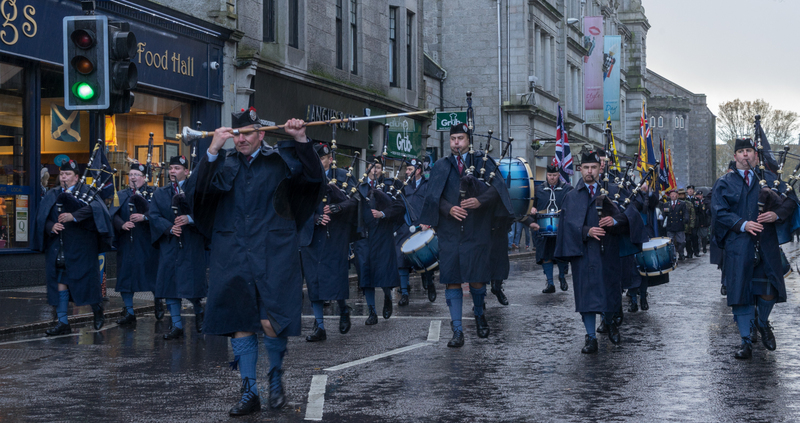 The Band led a Parade of Veterans and Services Personnel from Belmont Street to the War Memorial. 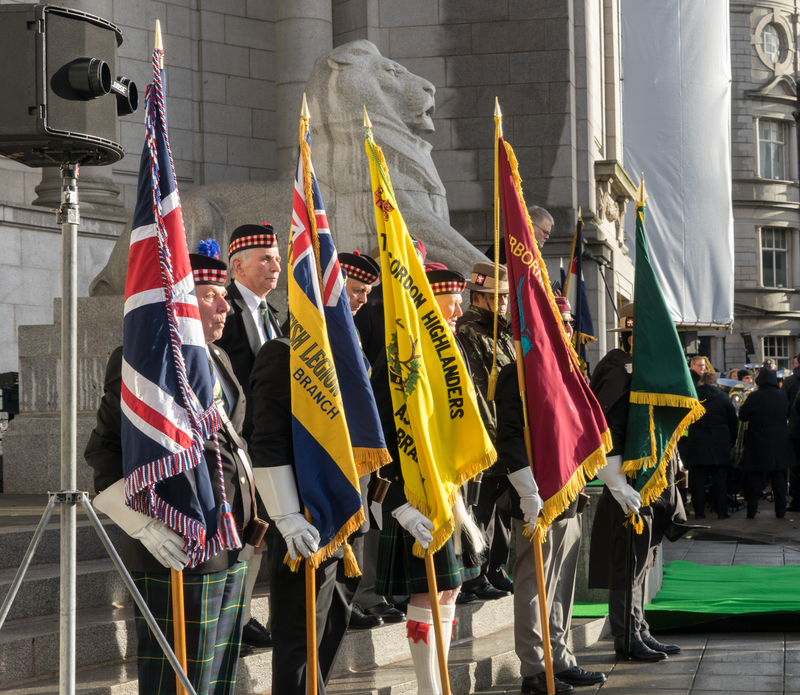 During the service, Pipe Major Pamela Whyte played the Piper’s Lament, ‘Flowers o’ the Forest’. 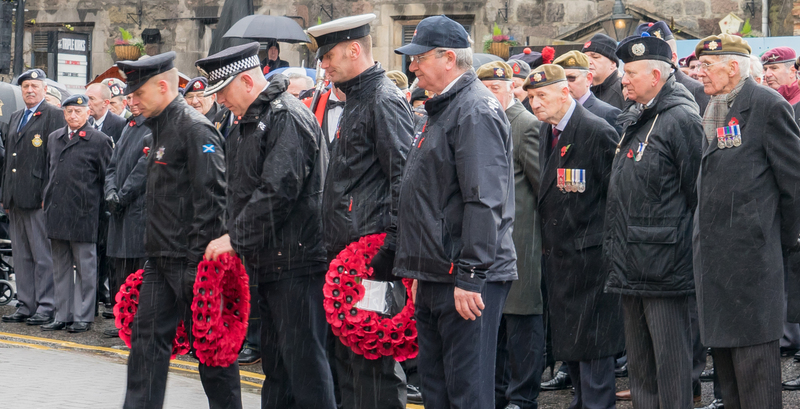 At the conclusion of the wreath laying the Band again led the Parade from the War Memorial along Schoolhill, Back Wynd and Little Belmont Street. The selection of accompanying photographs of the event were taken by the Band’s Photographer, Duncan Rennie of ‘The Travelling Cooper Photography’.